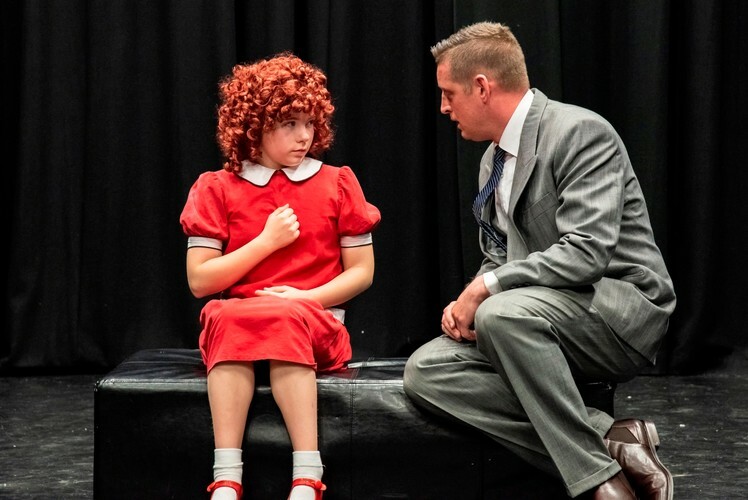 Based on the popular stories of “Little Orphan Annie,” this popular musical is sure to warm your heart. In 1933, during the Great Depression, a young orphan named Annie, (Eloise Parkes) is living in the Hudson Street Orphanage in New York City. It is run by Miss Hannigan, (Karyn Gibson) a cruel alcoholic who forces the orphans to clean the building daily. With half of a locket as her only possession, she remains optimistic that her parents, who left her on the doorstep as a baby, will return for her. Annie sneaks out with help from laundry man, Mr. Bundles, (Stephen Tomlinson) adopting a stray dog which she names Sandy and meeting the not so well-to-do in a Hooverville Slum. Annie is discovered and returned to the orphanage shortly after by a police officer. Grace Farrell, (Sarah Thornley) secretary to billionaire Oliver Warbucks, (Tom Hart) arrives to invite an orphan to live with Warbucks for a week, to celebrate Christmas. Annie is chosen and she meets his household staff and quickly endears herself to all. Warbucks, at first dismissive of Annie due to her being female, is charmed into letting her stay. He takes Annie and Grace on a stroll through New York City streets and Warbucks begins to develop affection for Annie. Grace urges him to adopt Annie and he meets with Miss Hannigan, convincing her to sign the adoption papers. Warbucks reveals his plans to Annie, even offering her a new locket, but she declines. She explains the purpose of her broken locket and her hope that her parents will return with the other half. Warbucks appears on Bert Healy's radio show and offers $50,000 to find Annie's parents. This causes mass hysteria with many would-be parents appearing to claim the money. Upon returning home, Annie is disheartened when Grace reveals none of the potential parents knew about the locket. Miss Hannigan is visited by her con artist brother Rooster, (Darren Sundborn) and his girlfriend, Lily St. Regis, (Sarah Templeton); they plot to pose as Annie's parents to gain the reward. The trio research the orphans' arrival at the orphanage and Miss Hannigan reveals that Annie's parents died; she possesses the other half of the locket. Rooster and Lily succeed with the ruse, and Annie's departure from Warbucks is imminent. But with a slip of the tongue, Rooster gives away the plot, and President Roosevelt , (John Townsend) (with the help of the FBI) uncovers the scheme. Rooster, Lily and Miss Hannigan are arrested and Annie is officially adopted by Warbucks. At a party in which the orphans, and the Roosevelts attend, Warbucks gives Annie the new locket. She embraces her new father. So to summarise: The good guys win, the bad guys get caught and Annie finds love in the arms of her adopted ‘Daddy’ Warbucks. What musical could be happier than that? 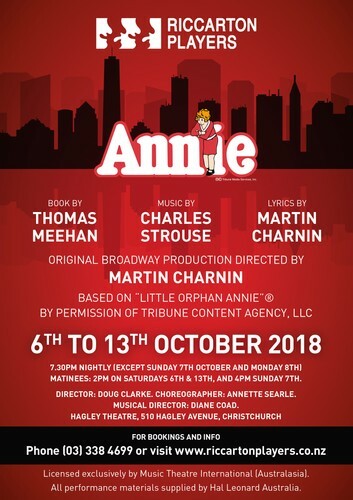 Annie is filled with humour and heart and features some of Broadway’s most memorable musical numbers, including “Little Girls”, “It’s the Hard Knock Life”, “Easy Street”, ‘Maybe”, “I Don’t Need Anything But You” and the legendary anthem of optimism, “Tomorrow”. The original production of Annie opened April 21, 1977 at the Alvin Theatre and went on to win the New York Drama Critics Circle Award for Best Musical, seven Drama Desk Awards including Best Musical, the Grammy for Best Cast Show Album and seven Tony Awards, including BestMusical, Best Book (Thomas Meehan) and Best Score (Charles Strouse, Martin Charnin). The show remains one of the biggest Broadway musical hits ever. It ran for 2,377 performances after it first opened, and has been performed in 28 languages and has been running somewhere around the world for 40 years. 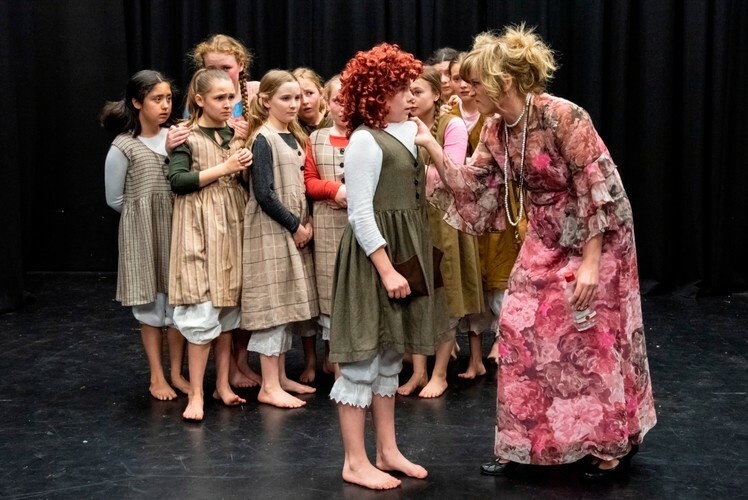 The beloved score and story of Annie, never fails to leave a audience uplifted and is truly a tale with a happy ending that everyone, young or old will love! 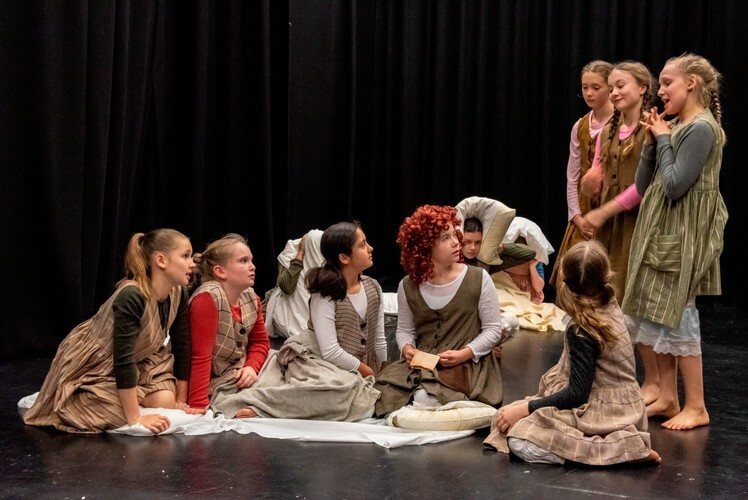 The Annie Team, Riccarton Players Inc.